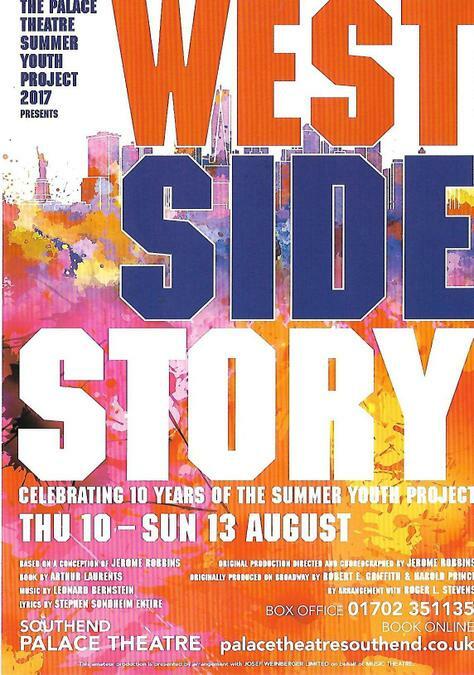 The Palace Theatre has been running their Summer Youth Projects for ten years in 2017 and this year, young performers will be taking part in the all American musical masterpiece, West Side Story. Two gangs, two lovers; excitement and danger; West Side Story is a twist on the classic story of Romeo and Juliet. Filled with iconic musical theatre songs including America, I feel Pretty, Maria and Tonight, this exciting musical will captivate and astound. If you think you'd like to get involved, you must be aged between 9 - 19 on or before 30th July 2017. Auditions will be held on Sunday 2nd April at the Palace Theatre, Southend, registration at 9am. Remember - you only get one chance to make a first impression, so give it everything you've got and enjoy yourself!